Camp Intrepid is our full-day camp program where history and STEM come together! Campers have daily or weekly camp options. 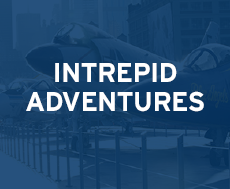 Each day campers dive into exciting projects related to the former aircraft carrier USS Intrepid, the Museum’s collections of air and spacecraft, historical artifacts and modern technology to assist them in their exploration. Educators help campers think critically, question the world around them and explore topics related to the history and science of our collections while having fun doing it! Camp takes place from 9:00am to 5:00pm at the Museum. Morning check-in begins at 8:30am and ends at 9:00am. Temporary parking is available upon request for morning check-in and afternoon dismissal. Each child receives a Camp Intrepid T-shirt and water bottle. Discounts are available for members, siblings and sign-ups for more than one week. Lunch may be purchased in advance or brought from home. Healthy snacks are provided by the Museum twice a day. Enrolled campers must be at least 5 years old and attending/completed full-day kindergarten during the 2018-2019 academic year. Informational and heath forms are required to make sure we provide the best experience for your child. Proof of vaccination required. Full STEAM Ahead – Kids will use their creativity in science, technology, engineering, arts and math to design and create a new world. What kind of world would you want to live in? Ages 5-10. Design It, Build It, Test It! Become a critical thinker while engineering ways to solve some of life’s little problems. What problems do you want to solve? Ages 5-10.
discounts off the regular and member camper prices. *Early bird registration for summer ends Sunday, March 31, 2019. Children who must leave before 4:45pm can be picked up at our early dismissal time of 3:30pm. Please notify us at morning check-in or send an email to us by noon that day. Speak with the camp coordinator if you need to make any other arrangements. Does Camp Intrepid provide transportation? Camp Intrepid does not currently provide this service. Children should be dropped off at West 46th Street and 12th Avenue in front of the Museum, where they will be greeted by Camp Intrepid staff inside or near the Welcome Center. All children must be accompanied by a guardian, who will sign the camper in with a Camp Intrepid staff member (unless you have arranged otherwise with the camp coordinator). Does Camp Intrepid have parking? Temporary parking is available in the Museum’s lot only during drop off and pick up. The Museum’s parking lot is located on the east side of 12th Avenue between 45th Street and 46th Street. Does Camp Intrepid provide lunch? Campers are welcome to bring their own nut-free lunches, but if you wish to order lunch for your child, please fill out an order form included in the Welcome Packet. Campers cannot buy their own lunches at the Museum, and campers will not have access to a refrigerator or microwave. Lunches are kept in our temperature-controlled classrooms. Camp Intrepid is a nut-free camp. Although Camp Intrepid does not have an on-site nurse, staff members are trained in first aid and CPR. Since our facility does not have a nurse, staff members cannot dispense medication to campers. Please indicate all allergies (food, environmental, etc.) on your medical form so that staff members are aware of these circumstances and can provide as safe an environment as possible for your child. send my child to Camp Intrepid with an EpiPen? Yes, provided your child is able to administer it himself/herself should it be needed. help you to provide a better experience for her? Yes! 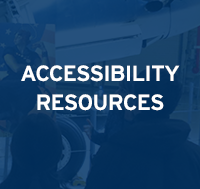 Children with many different backgrounds and learning styles join us at Camp Intrepid. Having many different types of children in our program brings the most interesting team and individual projects to fruition. 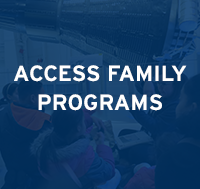 Please tell us anything we should know about your child that will help her/him have a more complete and engaging experience at Camp Intrepid. If your child becomes sick or has difficulty at camp, the camp coordinator will call you to discuss the matter. Please be sure the number you provide is where we can reach you in case of emergency. If your child is sick or exhibiting difficult behavior, we will ask you to pick up your child early from camp. In most cases, this is best done within an hour of the phone call. What do children do in Camp Intrepid? A sample schedule (subject to change) is available here. Projects and activities relate to the themes of the week and are tailored to the ages and interests of the campers. Depending on the week, aircraft pilots, former crew members, curators and outside presenters/activities (such as Capoeira, Mad Science, Animal Embassy, Museum of Interesting Things or Circle Line’s Beast ride) may be featured. Your child will receive a Camp Intrepid T-Shirt for each week of Camp Intrepid. The T-shirt will identify your child when the group is in the Museum and keep the clothes you send them in from getting paint, glue or other materials on them. Often the T-shirts are a bit messy when they go home with your child on their last day of camp, but they will have stories about how their shirt got that messy! Children also receive a water bottle, which will go home with them on their last day of camp. A non-refundable processing fee of $200 is included in the price of Camp Intrepid’s summer sessions. No refunds will be issued after June 1. 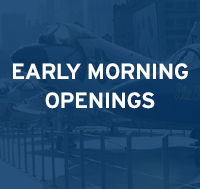 Please contact us at camp@intrepidmuseum.org or 646-381-5166 if you have further questions.